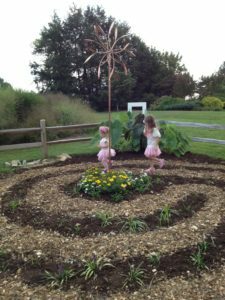 It was created by the Cumberland County (Tennessee) Master Gardeners and is one element in a series of demonstration gardens called the UT Gardens, Crossville: Plateau Discovery Gardens (one of three regional University of Tennessee Gardens, the official botanical garden of the state). We designed our facility for children aged three to seven, but kids from one to ninety enjoy it equally! 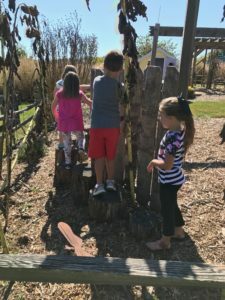 The KinderGarden is on the grounds of the University of Tennessee Plateau Research and Education Center, so it’s open to the public every day. 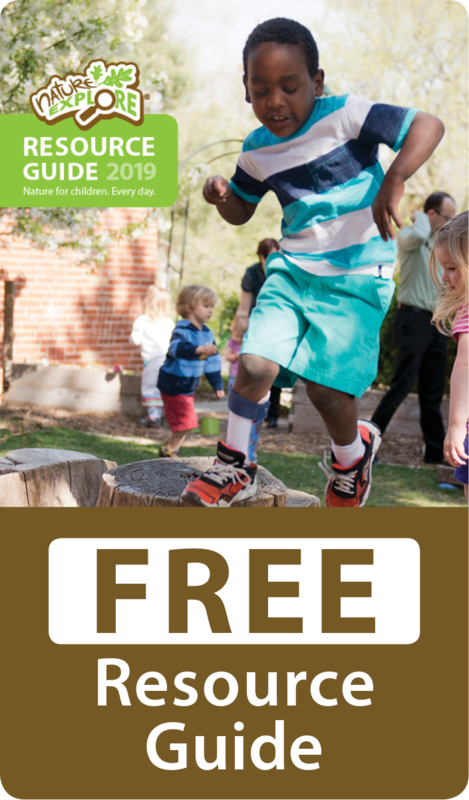 Children can explore the garden independently anytime with adult caregivers, but we also offer structured field trips and learning experiences for groups like Scouting and after-school organizations. Each year we also invite local kindergarten classes to schedule a programmed half-day field trip. 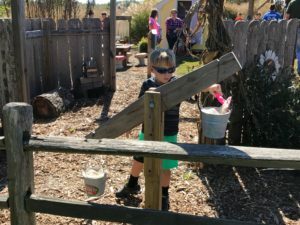 Over the past several years, hundreds of kindergartners, teachers and family member chaperones have taken part in this program. During the day children take part in several planned activities and also have plenty of free time to discover the KinderGarden for themselves. At the entrance, everyone is greeted by our mascot, Rocky Raccoon. To the left, a Green Tunnel is covered with climbing beans or gourds, which hang down inside. Children find picking them irresistible! Next is the Log Fort, where kids can find stumps, log cookies, bamboo and other natural materials for building. A raised path of log sections, planted on end, circles one side of the Fort. It’s perfect for developing balance while following the leader. Further on, in the Music and Movement area, there’s a deck for impromptu dance performances. 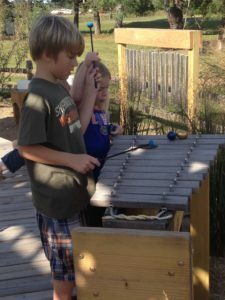 Children can accompany dancers on a xylophone, bongo drums, a tongue drum and chimes with a secret. When struck in order, they play “Ode to Joy”! In the Learning Cottage we store musical instruments, magnifying glasses and rulers, digging tools, games and much more. 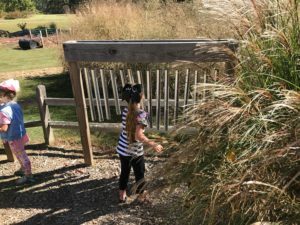 Nearby there’s a table for Art and Games, and throughout the garden, children can explore many more permanently installed games, puzzles and activities. Adjoining the deck a Pergola provides a gathering spot and, finally the Labyrinth is a grass-lined path forming a continuous spiral; with only one way in and out, there’s no way to get lost! There are also lots of other plantings in the KinderGarden. 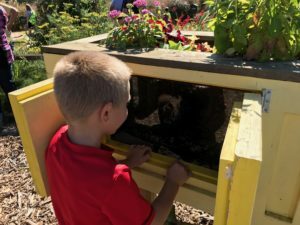 One area, the Herb Garden, is alive with bees, other pollinators, caterpillars and butterflies, and a root-viewing box lets everyone see how plants grow above and below ground. Since opening in 2012, the KinderGarden has received praise both in Tennessee and nationally. 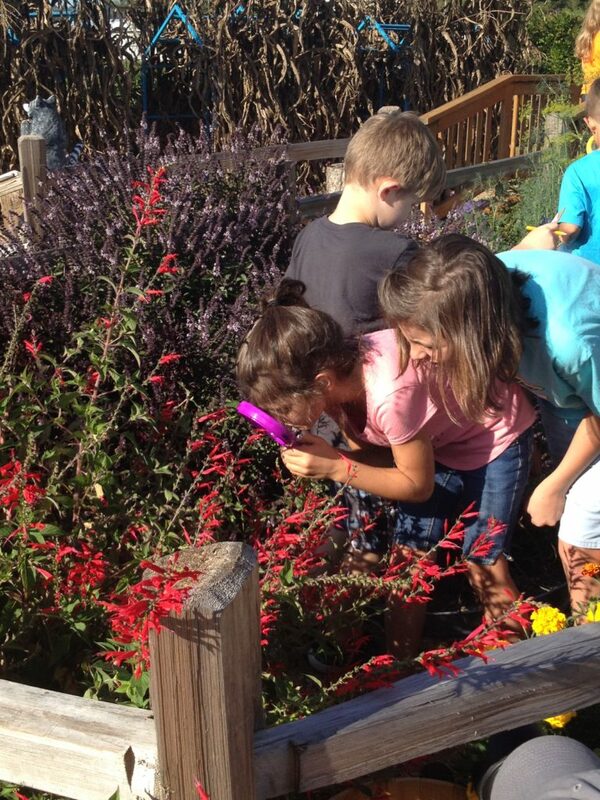 In 2016 the KinderGarden earned a first-place Search For Excellence Award from the Tennessee Master Gardener Association, and in 2017 it shared in the first-place Search For Excellence Award given to the UT Gardens, Crossville: Plateau Discovery Garden by the International Master Gardener Organization. The KinderGarden was built with dedication and imagination by volunteers. With limited space, a modest budget of individual monetary donations and community grants, generous donations of art and materials, and countless hours of donated time and labor, we created a little KinderGarden with a big community impact!